The word ‘sauna belt’ immediately makes your think of sweating. Well, incidentally, this is what a sauna belt does. It makes you sweat around your stomach area. But sauna belt reviews are normally written in order to get you to buy a specific product. Many of these reviews focus on weight loss. A sauna belt is much more than just a means of weight loss. It may actually have other health benefits too. 3 What is a sauna belt? 4 What are the benefits of a sauna belt? Our team has reviewed seven of what, we believe, are the best sauna belts around. We have taken a look at the pros and cons of each, and what they do for you. 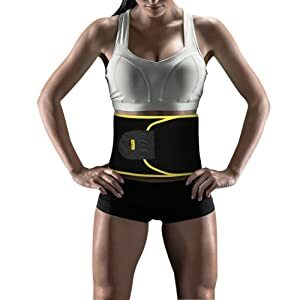 The Yosoo Waist Trimmer Belt is great for those who work out, maximizing body heat and removing excess water weight. 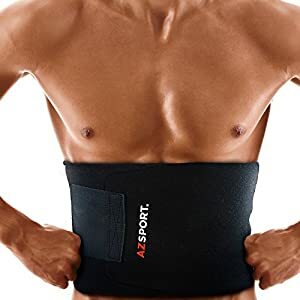 The AZSport helps weight loss by preserving body heat and removing excess body water, especially around the waist. The product is great at improving circulation and does not hamper breathing at all due to the stretchiness of the material. 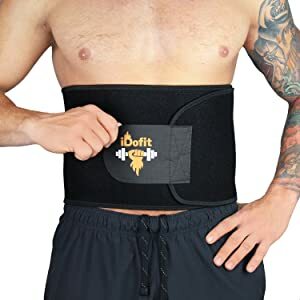 The iDofit Premium Adjustable Waist Trimmer Belt comes in three sizes and has an outer, anti-fuzz fabric. The inner, neoprene layer ensures heat insulation and an improved blood circulation to the belly area. The belt of the Just Fitter Premium Waist Trainer and Trimmer Belt can be customized to fit any body shape. This product is available in black with either pink or yellow trimmings and comes in six sizes to ensure the perfect fit for your body type. The 3 mm thick Neoprene material that makes up the Slabstone Waist Trimmer allows for easy movement during exercise. The patented integrated thermogenic action technology of The Shred Belt claims to increase abdominal heat and circulation in the stomach area by up to fifteen times. Most people, more especially women, tend to wear a sauna belt in an effort to get rid of unwanted tummy fat. Although it does aid with weight loss, it has other benefits, which we will take a look at. 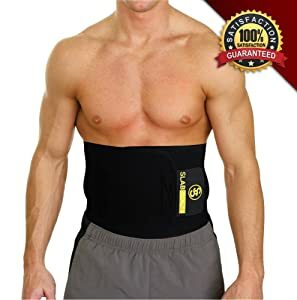 Unfortunately, many people say that their sauna belt does not work for them. This is because, more often than not, they are not using it correctly. There are a variety of products to choose from, and a number of reasons people should consider using a sauna belt. We are going to look at, and address, these issues. For more on weight loss and other associated issues, please have a look at ‘The Best Infrared Saunas and Their Many Benefits’, ‘Reliable Sauna Suit Reviews for Amazing Weight Loss’ and “The best portable sauna information you will find“. We look at the benefits of each and give our opinion on a few of the best available products on the market. What is a sauna belt? A sauna belt is a material wrapped around the body in order to make you sweat. It is usually used around the tummy area and thighs but can be used on all the parts that need slimming down.They can, therefore, also be usedon the thighs and hips. They are mostly made of soft, flexible neoprene. Some sauna belts, however, have electric heating pads and work with electricity. Do be careful when wearing one of these, as sitting or laying in certain positions can cause the product to work incorrectly or cause the electrical coils to touch. You could suffer a serious injury if this happens. What are the benefits of a sauna belt? Although correct eating habits and exercise are the only real ways of losing weight and keeping it off, a sauna belt, by releasing a heat stimulus, encourages blood flow to the targeted area. This encourages the release of fatty acids. When exercising, with the added benefit of the stimulus of the heat released by the sauna belt, more of these fatty acids are released. Your body, during exercise, uses the fatty acids for fuel, burning them. In this way, fat is lost. A sauna belt is made of lightweight material that is sturdy. When worn around the waist, it may help improve your posture by keeping your back in position. Bad posture is the result of too much time spent at a desk, for example. Wearing it under your work clothes thus keeps you sitting straight, resulting in less back strain. 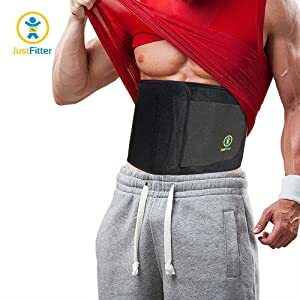 Because, in most instances, one size fits all, you could, by tightening your sauna belt, immediately have a flatter tummy, giving you a more svelte appearance under your normal clothing. Heat therapy has long been used to treat all kinds of muscle pain. Cramps and sore muscles due to exertion are something everyone deals with. The sauna belt, due to its ease of use, is great for localized pain in the back and even legs as it is adjustable. It is great for cramps associated with period pains too. To find more way to Relieve Aches and Pains you can read: Reviews of the Best Foot Massager, Plus Astounding Benefits! There are a few things to keep in mind when using a sauna belt. Make sure that the sauna belt fits snugly. It should not be too tight. A snug fit allows you to pull it away from your skin to see whether your skin is reddening. If your skin reddens and you get too warm, do not hesitate to take it off. Put it on while standing up or laying on your back to ensure it fits correctly. Do not switch the sauna belt on (if you have one that works with electricity) while sitting or laying on your stomach as it may interfere with the electric current. If you are someone with very sensitive skin, it is best to wear a T-shirt under your sauna belt. Always make sure you follow the manufacturer’s instructions. 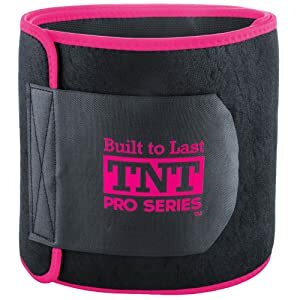 As with all things, and before choosing the correct best sauna belt for you, you need to consider the pros and the cons. Remember to hydrate constantly, especially when wearing your belt. Excessive sweating may cause dehydration and other heat-related problems. Also, do not use the product for longer than the manufacturer’s recommended time. There is no denying that using a sauna belt while exercising and on a proper diet most certainly is effective when it comes to weight loss. The added heat helps the body break down and use stored fat for energy. But, as with all things, this only happens when you do things right. 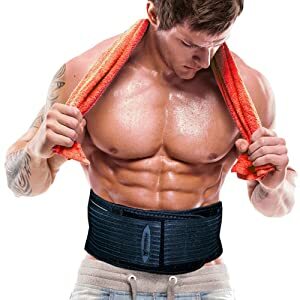 For us, the clear winner when it comes to our sauna belt reviews has to be the Yosoo Waist Trimmer Belt. It is a product that does what it was designed for, with the added benefit of promoting back support and helping with posture. The fact that it is wide enough to provide support for those who have had abdominal operations is an added bonus. The fact it is machine washable also takes care of the washing day blues, although it would have been nice to have been able to pop it into a tumble dryer.